As with any other dental procedures, teeth extraction required specific dental instruments to do so. 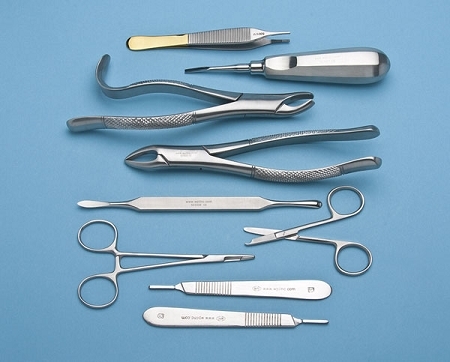 Tooth extraction forceps and elevators are the basic instruments used to extract teeth and they come in numerous shapes and sizes. 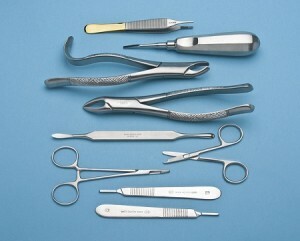 Most forceps come with a primary or baby tooth equivalent. Traditionally tooth extraction is done in a sitting position. 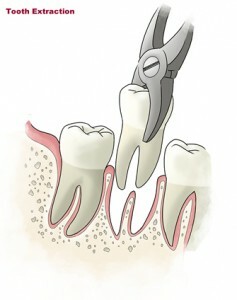 Modern extractions are done with adjustment of the dental chair. For lower teeth the upright position is ideal whereas for the upper back teeth a supine or semi-recumbent position is used. Upper teeth extraction is done with the individual’s head tilted back so that the upper biting plane is at a 60 degrees angle to the floor. Lower teeth extraction should have the patient positioned in a upright position so that the lower jaw is opened widely and the lower biting plane parallel to the floor. The end of the dental forceps handles should be against the heel of the hand so that the pressure along the axis of the instrument to the tooth is powerful and secure. retract the cheeks, lips and tongue. The beaks of the forceps should be aimed below the cervical aspect of the tooth. The forceps are then pushed towards the root as far as possible. By doing so the center of rotation is pushed more towards the root which results in greater effectiveness of bone expansion and less likelihood of fracture of the tip of the root. Roots are firmly griped but not crushed. The major portion of the force is directed towards the thinnest and weakest bone in the jaw. So both in lower and upper jaw it is the buccal bone or the bone oriented toward the inside of the cheek. The motion is a slow, steady force directed to displace the tooth towards the cheek. Then the forceps is directed towards the opposite side and depending on the shape of the root, rotational or figure of 8 motions are used. It should be remembered that teeth are not pulled but gently pushed out expansion of the socket. It needs to be remembered that teeth extraction done under general anesthesia carries a small but significant risk. 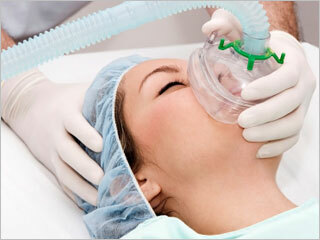 Local anesthesia is much safer and inhalation sedation can be used as an alternative. However, while an affordable option, tooth extraction will remove a tooth from your mouth leaving a gap that could reduce the functionality of your bite and can impair the cosmetic appearance of your smile. The missing tooth is usually replaced with a partial denture, dental bridge or dental implant which will require additional costs. If the void is not filled, the remaining teeth may naturally move to close the gap and lead to improper bite. Furthermore, complications may occur during or after tooth extraction is done. Infection can set in after an extraction if no proper care of the mouth is done. Dry socket, or otherwise known as alveolar osteitis, is by far the most frequent painful complication of tooth extractions. This condition of delayed healing, but not usually associated with infection, is common after wisdom tooth extraction due to the large tooth socket that is left behind which can easily dislodges the blood clot that is formed. If you suffer from any symptoms after your tooth / teeth extractions, call your dentist or oral surgeon for further management.